Tony, I think that you’ve been fair and balanced on the CFED story. I am optimistic that Land Lease Communities and Manufactured Housing can be an increasing source of affordable homeownership in the US. A fresh vision for the sector starts with secure land tenure (i.e. true land lease) because homeownership connotes security. That’s fundamental to true homeownership. MHCs offering true homeownership can’t be closed down, period. With secure land tenure, the strength of the MHC land use approval is small, affordable and energy efficient detached single-family homes in dense neighborhoods. On your other article, I think rent control is a symptom of a larger problem. To my eye, these stories are always about both sides doubling down politically and legally. I would like to think there are alternatives that don’t rely on third-party boards and local ordinances. I approach things with a win/win mindset, and from what I’ve seen, courts and boards seem to satisfy neither party in most cases. A fundamentally different value proposition and mindset is required to stem the tide of rent control. Those are my thoughts. ROC on! 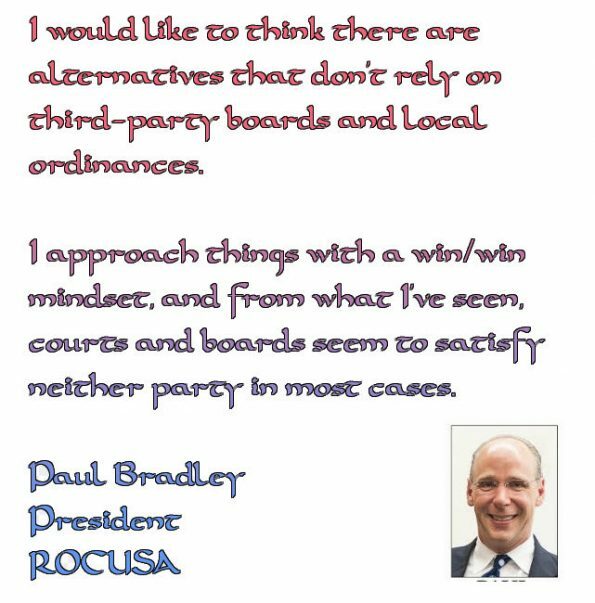 To see our interview, A Cup of Coffee with Paul Bradley, click here. (Editor’s Notes: this headline was provided by MHProNews, as is often the case with an Op-Ed or letters to the editor. This was sent in response the issues linked in the body of this email, for other takes on the rent control topic, please scroll recent Industry Voices guest columns.